If you’ve experienced any sort of anxiety in your lifetime then you may be familiar with how exhausting, and at times, debilitating it can be. If you haven’t, perhaps you have loved ones who combat anxiety and have expressed this to you. Dogs can experience anxious feelings, too, which can lead to a lower quality of life. Below we’ve outlined some common triggers, as well as signs that indicate your dog might have anxiety. We’ve also included some concrete ways for you to help them overcome this anxiety. The first step toward helping your anxious pooch is to notice the signs. While some are very obvious, others are subtler and therefore harder to pick up on. Aggressive behavior, such as excessive barking, snarling, biting, swatting, and attacking. This is a direct response to feeling afraid and wanting to protect themselves. Frantic behavior, such as pacing, restlessness, cowering, hiding, and whimpering. This is also a direct response to fear. Compulsive behaviors, such as doing something over and over again repeatedly or destroying property. Depression, which can present as lethargy, lack of appetite, reduced desire to play or participate in their favorite activities, and reduced affection toward their owner. Atypical physical symptoms, such as increased panting and labored breathing, drooling, urinating or defecating in places they know they shouldn’t, and excessive grooming. 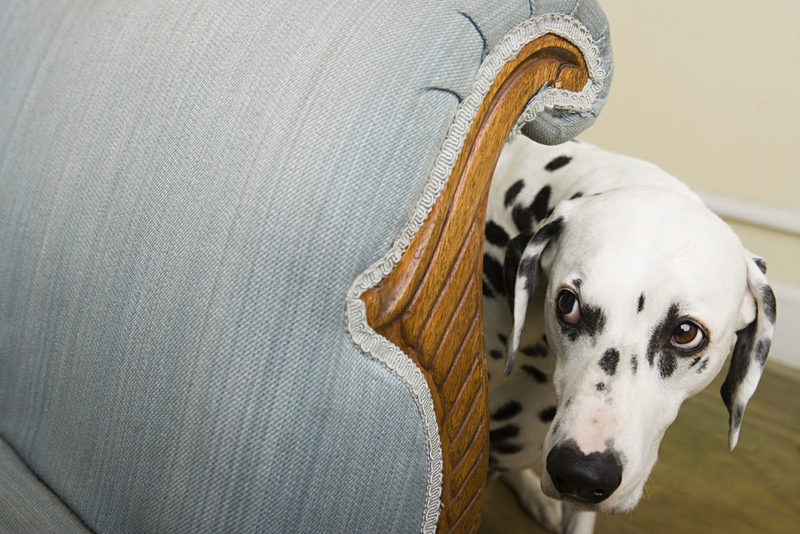 One of the most common triggers for dog anxiety is fear. This can be fear of a new and unfamiliar space, fear of a new person or strangers in your home, or fear of loud noises, strange objects, and sudden movements (such as fireworks, thunderstorms, and loud sirens). Some dogs also feel anxiety when they’re separated from their owner for a period of time. For some, this can be a very short separation — such as during the work day — while others are only triggered by longer periods of being away from their owner. Another common anxiety trigger is aging, especially if your dog suffers from issues like cognitive dysfunction, lameness, reduced eyesight, or deafness. Your vet can help you navigate these specific issues to bring your pet a greater sense of ease as he or she grows older. If you suspect your dog has mild or moderate anxiety, there are a few things you can do at home to help make them more comfortable. First, be aware of the triggers we outlined above and do your best to circumvent them. Maybe that means playing soothing music and using pheromone sprays when you know a storm’s brewing, planning for visits from yourself (or a friend they trust) during the work day, or keeping parties to a minimum and making sure your pup feels like they have a safe space to retreat when company’s over. Lots of love and massages: we all feel better when wrapped in a loving embrace. Showering your pooch with love and affection can help ease fear and anxiety. Massages can reduce anxiety, as well. Rub their ears, paws, and body. You can even enlist a professional animal massage therapist to help. Anxiety Jacket: You can purchase anxiety jackets and vests (sometimes called calming coats) in most pet stores and online. They feel like an embrace or hug and can help reduce anxiety in your pet even when you’re away. Calming Pheromones: There are several calming pheromones available on the market, which can help ease your dog’s distress. They’ve been found to be more effective in mild anxiety versus anxiety that presents with aggression. Sprays can be used on an as-needed basis, while plug-in options work over the long-term. Calming Supplements: There’s not a ton of scientific literature out there about calming supplements for pets, but anecdotally there seems to be a great deal of support. Chamomile and lemon balm (which are used for humans, as well) are two recommended supplements. You may also see some improvement when using canine-approved CBD oil. Behavior Training: Some dog trainers specialize in helping to reduce anxiety in dogs. This sort of training is especially useful in young pups when the goal is to curb bad behavior. It’s time for veterinary intervention if your dog has experienced ongoing signs of anxiety that at-home remedies aren’t curbing. We also recommend seeing the vet if your dog has exhibited excessive aggression and physical symptoms. Your vet will ask you questions and take your pet’s full story into consideration. From there, he or she may prescribe antidepressants or SSRIs, such as fluoxetine and clomipramine, to help with chronic anxiety. For anticipated bouts of severe stress — such as the Fourth of July or a big move — your vet may even prescribe an anti-anxiety medicine like benzodiazepine. Dogs experiencing anxiety as a result of aging-related cognitive dysfunction may be prescribed selegiline. It’s hard to see our pets feeling scared or anxious, and you may even feel helpless in the face of their unhappiness. However, by diagnosing the issue, making note of their triggers, making conscientious changes at home, and consulting with a vet, you can greatly help reduce their anxiety and provide your pup with a higher quality of life. While a Healthy Paws policy does not cover supplements or behavioral prescriptions like antidepressants, any accidents or injuries related to anxiety will be covered. 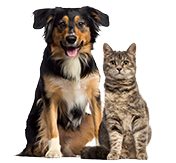 If you aren’t already a pet parent with us, look into getting a free quote.